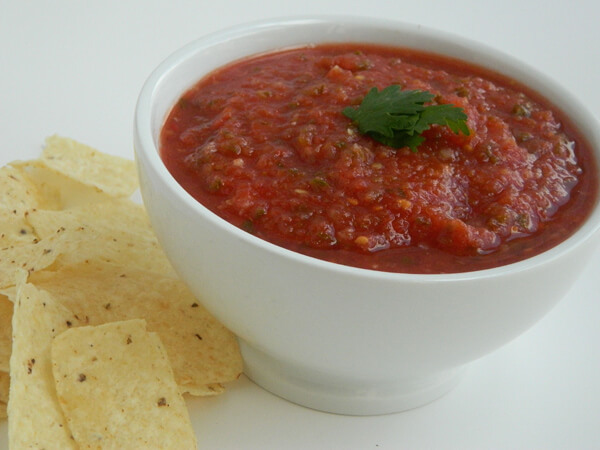 A super easy tomato salsa in a delicious taste. No cook, just prepare in 5 minutes with fresh tomato, onion, garlic and seasoning. Blend half tomato in food processor or blender. Put all the other ingredients except the coriander and blend again. Now add the coriander and remaining half tomatoes. Blend again until get desired consistency. Serve immediately or store in an air tight jar for 2-3 days in refrigerator.